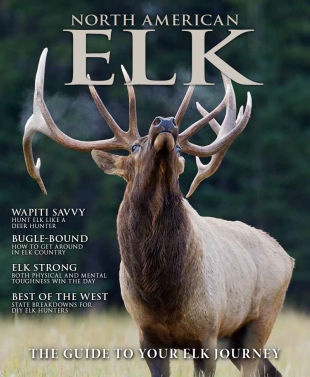 NORTH AMERICAN ELK is the leading source of compelling content created speciﬁ cally to capture the imagination of the aspirational elk hunter and launch them toward their dreams of hunting the ultimate North American game animal. Trusted resources like Will Primos will deliver the blueprints to the start of our reader’s elk hunting journey. Geo-targeting in America’s deer country, North American ELK provides the perfect opportunity to show-case your products to the elk hunting segment’s newest members, from the plains states to the east coast.